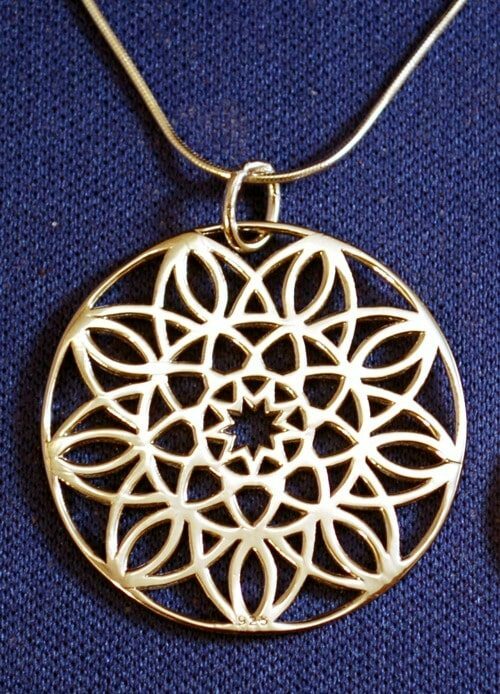 This beautiful nine-pointed star mandala reminds me of our popular coloring book designs. At 1-1/8″ (30mm) it is our largest sterling silver pendant, and just a smidgen bigger than our Greatest Name plated pendants – they could even be worn back-to-back. Scroll to the second picture to see the size compared to a dime. 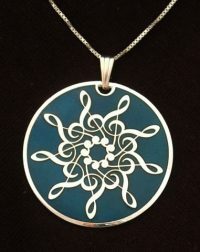 Even though it is sterling silver, its open design keeps the cost reasonable. 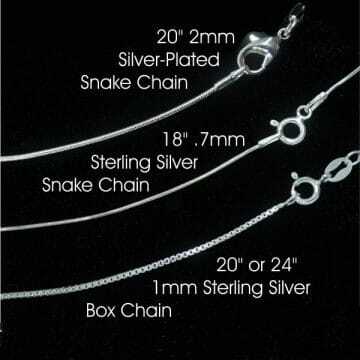 It is available with three lovely chain options. Pictured with our 18″ fine snake chain.